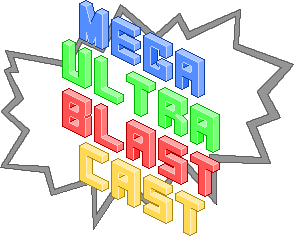 The Mega Ultra Blast Cast hits a milestone with its 20th episode, but things go off the rails pretty quickly. My two colleagues and I try a new seating arrangement that gives Delaney far too much power for his own good. We get excited about the newly announced Pokemon games, the insanity of the new Mario Kart, the brilliance of Child of Light, the fresh Star Wars Episode VII casting details, the Justice League movie and much, much more. There’s also an unexpectedly lengthy discussion about Cher, and I cannot remember for the life of me how that came up. If you feel so inclined, go for a run, take a scenic drive, jazz up your afternoon commute or just curl up on the couch and play some games while you listen to the opinions of three shuffled Sydneysiders.